There is nothing better than bold, bright colours, precious stones and a fascinating story that involves mystical foreign lands. Dana Levy's latest collection is exactly that. Inspired by her Grandfather, who worked as a diamond and precious stone dealer in Jerusalem, Dana has produced a range of accessories inspired by middle eastern culture and folklore. Originally training at University of the Arts, London, Dana moved to Jerusalem where she immersed herself in creating a luxury jewellery range based on creativity, beauty, culture and love. 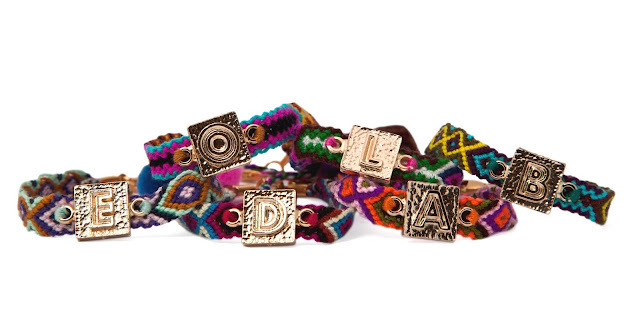 The mix of high end, luxury materials and bohemian yarns which add a shot of colour make these bracelets totally irresistible. The question is, will you choose to ward off evils with an evil eye or a Hamsa hand?